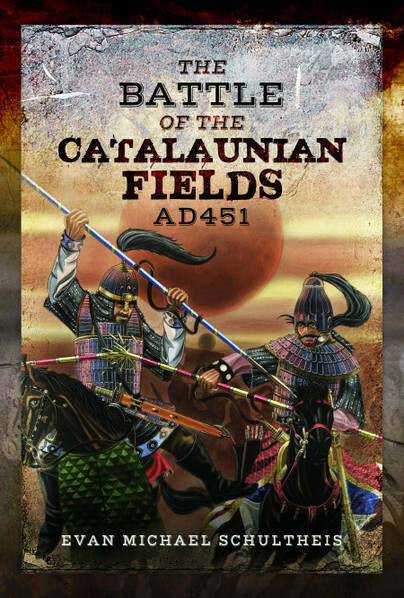 You'll be £20.00 closer to your next £10.00 credit when you purchase The Battle of the Catalaunian Fields AD451. What's this? Evan Schultheis reconsiders the evidence for Attila the Hun’s most famous battle, the climax of his invasion of the Western Roman Empire that had reached as far as Orleans in France. Traditionally considered one of the pivotal battles in European history, saving the West from conquest by the Huns, the Catalaunian Fields is here revealed to be significant but less immediately decisive than claimed. This new study exposes over-simplified views of Attila’s army, which was a sophisticated and complex all-arms force, drawn from the Huns and their many allies and subjects. The ‘Roman’ forces, largely consisting of Visigoth and Alan allies, are also analysed in detail. The author, a reenactor of the period, describes the motives and tactics of both sides. Drawing on the latest historiography and research of the primary sources, and utilizing Roman military manuals, Evan Schultheis offers a completely new tactical analysis of the battle and a drastic reconsideration of Hun warfare, the Roman use of federates, and the ethnography of the Germanic peoples who fought for either side. The result is a fresh and thorough case study of battle in the 5th century. The first thing to say, is this book is a historical data nerds dream. While the book findings conclude half way though the book, there is a huge section on the force estimates from the notitia dignitatum. This pretty much lays out the commands, strengths, etc of the eastern Roman Empire. It is astounding how detailed this is. I really enjoyed this book. The detailed descriptions of where the source material comes from, was for me the highlight of the book. I am always amazed how this stuff survives. I can see this being used by wargammers looking to build up regiments and armies of the period and also by reenactors looking to create units and regiments for living history. In fact there are several photos of reenactors in period clothing and weaponry. The author is an reenactor which seems to help provide groups of the period with a lot of useful stuff. Evan Schultheis holds a BA in History and a BS in Chemistry from Winthrop University in South Carolina. He is also a member of a re-enactment group who recreate both Hun and Roman forces of the fifth century. He has been engaged in detailed research on all matters relating to the Battle of the Catalaunian Fields since 2013. This, his first book, is the result of that effort.